Hola chicos, as I’ve mentioned before, we are finalists for the MAD Blogging Awards and the Brilliance in Blogging Awards in the Video category. Fellow bloggers will know it can be difficult to find time to commit to your blog and social media channels (especially if you run a weekly Linky too! ), but we do try to add videos to our YouTube channel as often as we can, and always try to do fun things which involve all of us. 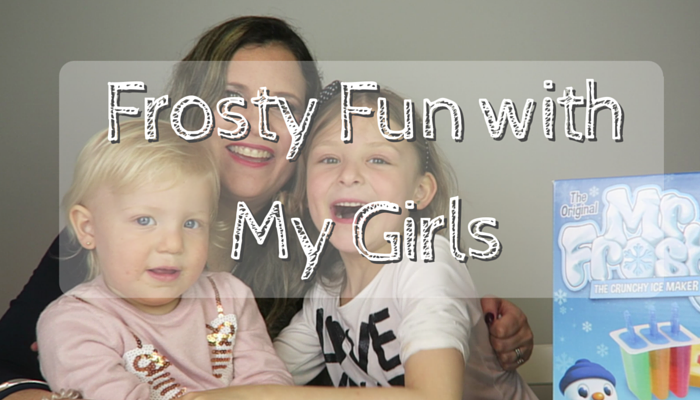 I wanted to share with you some fun I had with my girls making a video about the revamped Mr Frosty toy. 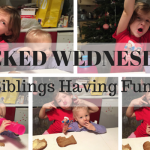 It has been said that you shouldn’t work with children or animals, but one thing is for sure, I enjoy making videos for the blog with my cheeky little monkeys! 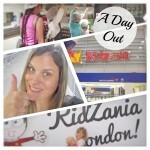 After all, its a family and lifestyle blog so the more I can involve them the better :-). 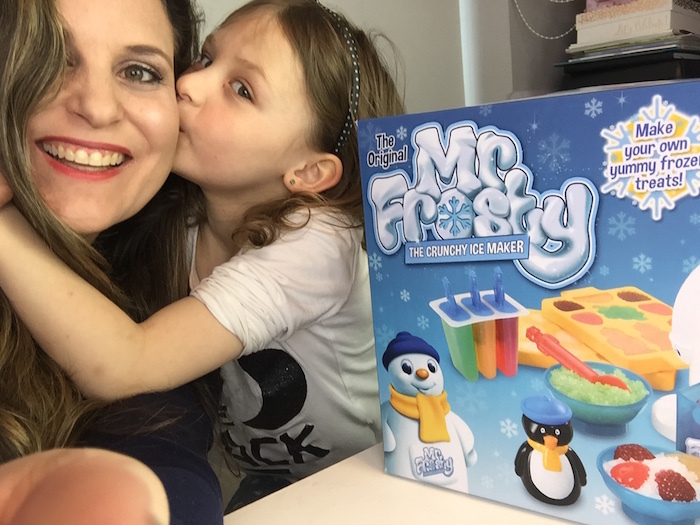 With the recent warm weather, we decided to take the opportunity to make some frosty frozen treats when we were sent the new Mr Frosty toy to try out. 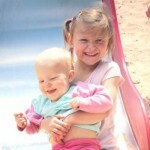 The girls had a lot of fun, particularly Bella of course as she can be more involved. Did you have a Mr Frosty when you when young? Will you like to relive this experience with your kids? Will you get one for your kids? Leave a comment below as I would love to read what you think. This looks great. My children are too young for this right now but in the future activities like this I think are brilliant. 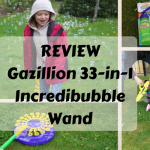 It looks like your children had loads of fun! 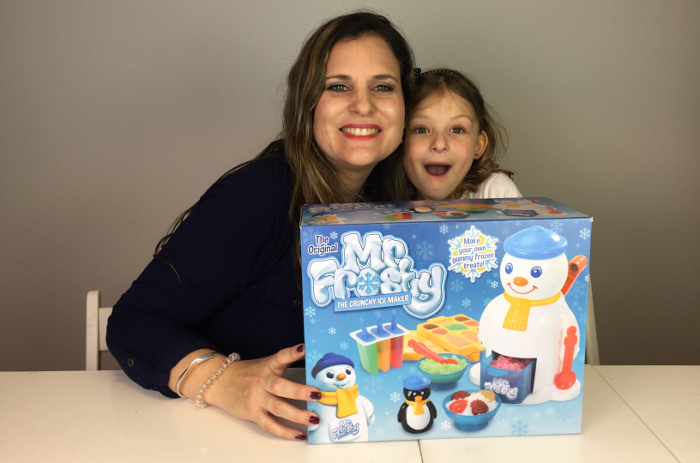 I have to say that now we have a ‘cheats version’ ….Mr Frosty in the shape of our American Style fridge freezer that can give you crushed ice on demand…Not as much fun as doing it with the kids and I won’t get to exercise my biceps self-crushing it. No I never had one. I am not sure we had those when I was young here. 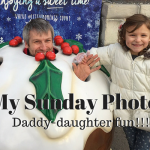 Either way, It looks fun, I am glad you liked it 🙂 I agree including your children in the blog can be a lot of fun. I get the kids involved in taking photos and including their work in different photos. #KCACOLS. I had a Mr Frosty when I was younger, I remember sharing it with my brothers and trying all the different favours, it was delicious and so much fun. Glad you all enjoyed it. I used to see this in the Argos catalogue very Christmas but Santa never took the hint! Maybe when my daughters old enough we could give it a whirl! 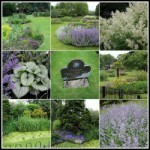 We never had one but I can remember looking at them in the catalogues and really wanting one! Mr Frosty and Big Trak were the two things I wanted but never got! I always wanted a Mr Frosty when I was small and when I got one I was made up. The reality of crushing ice compared to the advert took the shine off a little. Still remember the old ad! “And a squirt of flavour from Percy Penguin. Thank you, Percy!”. Aw, Franca your daughter is so adorable and you can tell that she genuinely enjoyed this toy. Looked like it was a little difficult to crunch the ice but if the kids are happy, mama’s happy! Lol. I wonder if this is available in Canada?